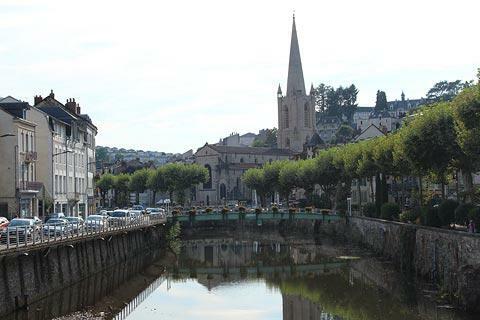 Tulle is the capital (prefecture) of the Correze department, in the Limousin region of France and on the Correze river. 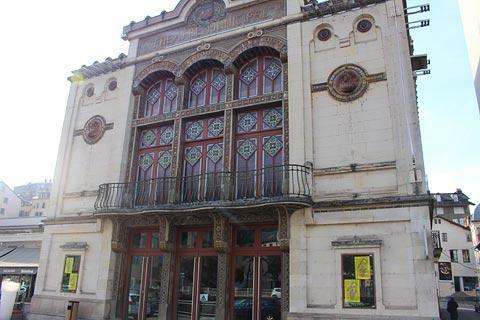 Historically the town was an important centre for lace production and was the town where the material called tulle, a finely woven material often used for wedding veils, was invented. 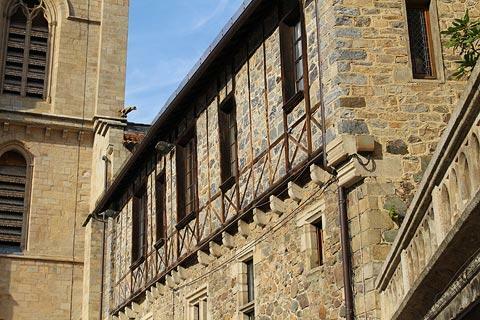 Your visit to Tulle will focus in the heart of the old town in the streets around the cathedral with its medieval houses and buildings. 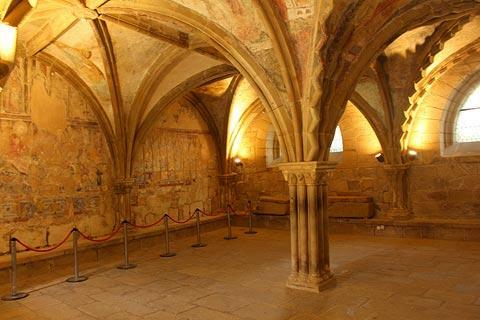 Much the most important monument in the town is Tulle Cathedral, built next to the river in the 12th to 13th centuries and incorporating both roman and gothic style elements. 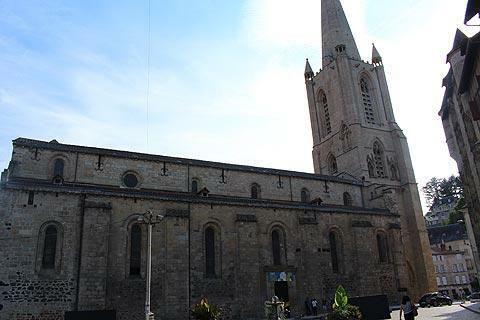 The imposing belltower was added after the main cathedral was finished and has the tallest spire in Limousin. 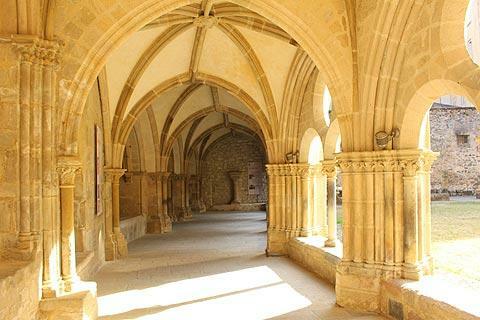 Inside the cathedral cloisters in the Museum of Traditional Arts you can see some interesting exhibits, drawn from the history of both the cathedral and from Tulle and the surrounding region, and including religious art and sculpture and examples of the local pottery. 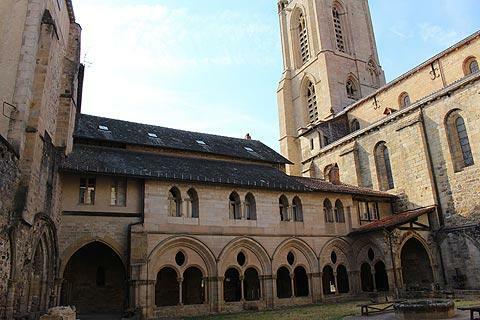 Other highlights here include the Maison de Loyac, a stone house with an ornate entrance and two small towers in Place Gambetta, and the Maison Lauthonie. 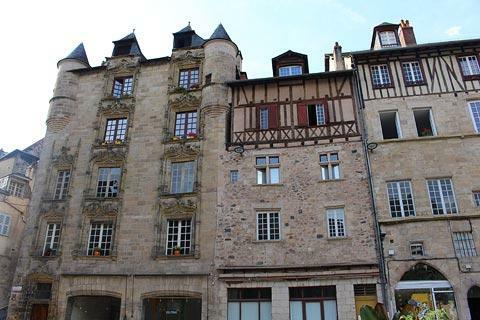 In the side streets to the north of this square there are various small architectural highlights such as ornate balconies and carved decorative doorways to discover along with a couple of late-medieval houses. The town is built across several hills, so these narrow streets in the old town are sometimes replaced by steep staircases. 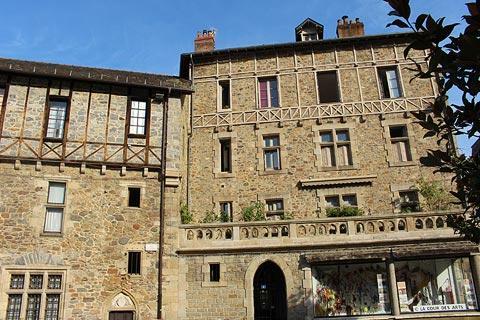 It is along these that you will find much of the medieval character of Tulle, with some of the balconied houses featuring architectural highlights such as ornately carved doorways. 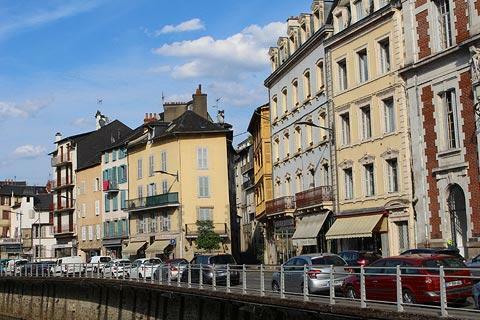 You can see the most interesting examples if you follow Rue Riche, Rue des Portes Chanac, Rue du Capitaine Jehan and Rue de la Tour de Maisse. 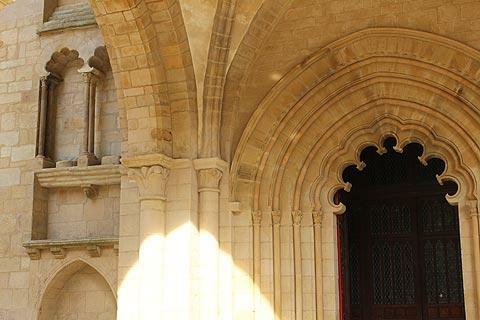 After exploring the cathedral and historic centre you can take a walk along the riverside. 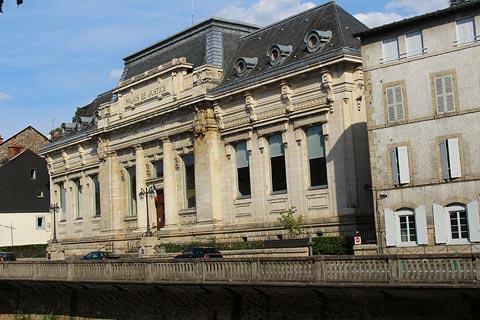 A short distance south of Place Gambetta there is an imposing town hall next to the river and the interesting facade of the 19th century Theatre Municipal, decorated with various busts and medals, then the Church of Saint-Jean a little further. 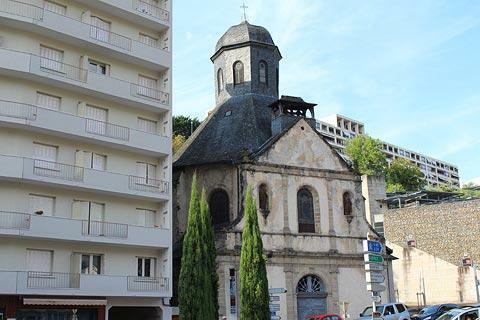 If you now walk north along the river you can see the baroque style facade of the Church of Saint-Pierre, built in the 18th century, then cross the river to see one of the most elegant houses in Tulle: the Tour d'Alverge (Rue Fontaine Saint Martin) is rather hidden behind more recent houses but is a 15th century tower that contains a staircase allowing access to the medieval colombage houses either side of the tower. France This Way comment: the cathedral, cloisters and historic centre are attractive and interesting but outside this area Tulle is much less attractive and, for example, the Theatre Municipal and the Church of Saint-Pierre are rather neglected - so while a visit is recommended we were rather disappointed by the overall experience. We enjoyed a visit to the small village and waterfalls at Gimel-les-Cascades, a few miles north-east of Tulle. 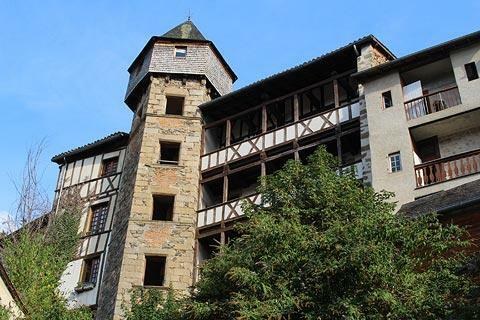 Also not far from Tulle you can visit two other attractive Limousin towns: Uzerche is an extensive medieval town to the north-west of here while Argentat is a picturesque town on the Dordogne river to the south-east.